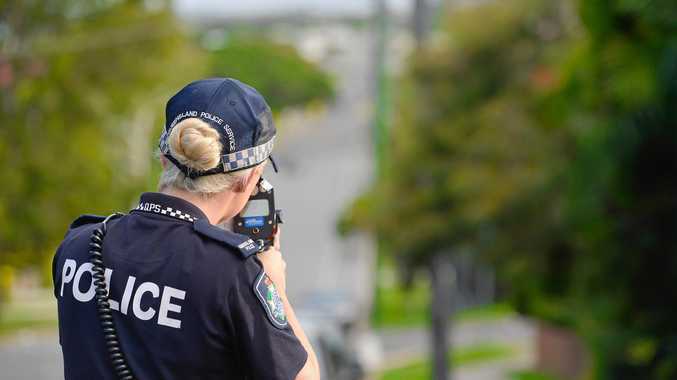 MORE than 45,000 people were ticketed for driving 13km/h to 20km/h over the speed limit in the Capricornia Police Region between 2012-2017, according to figures released by the State Government. In the 2013-2014 fiscal year alone, over 10,000 people were ticketed for that offence. But for every fiscal year since 2012, the number of people ticketed was always more than 8,000 people. A total of 13,227 people were ticketed for driving up to 13km/h over the speed limit, the second most ticketed offence in the same period. While 12,000 people were fined for speeding between 13km/h to 20km/h in a 100km/h zone, which includes major roads such as the Bruce Highway. RACQ spokesperson Clare Hunter said she was disappointed about how many people had been caught speeding. "All road users have a duty to stick to the speed limit because it's not just a fine you're risking, but lives too," Ms Hunter said. "You can complain all you want about a speeding fine, but if you want to avoid one, it's simple - don't speed." Ms Hunter said speed cameras played a role in cutting down offences, with members telling them a visible police presence was effective. "Fines and demerit points are an effective deterrent to dangerous behaviour, and money raised from fines goes towards road safety initiatives," she said.